Christmas Print Blowout Just $2.97! Down From $13! 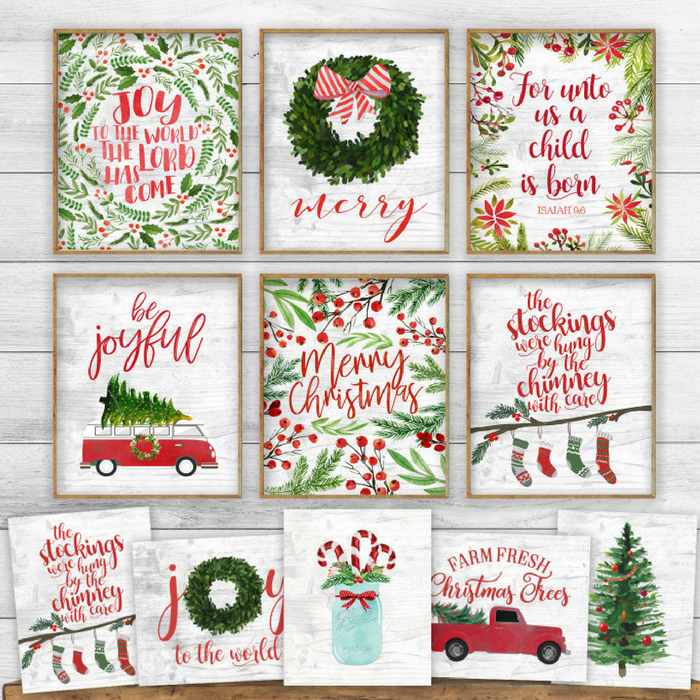 These beautiful Christmas Prints are now on sale for just $2.97 at Jane! Shipping is $2.47 for the first item and $0.39 for each additional item! Bring the holidays to your home with these adorable holiday prints! All gold lettering and design elements are FAUX GOLD FOIL, FAUX GLITTER ELEMENTS, DIGITAL WOOD TEXTURE, and DIGITAL CHALKBOARD TEXTURE. No actual foil, glitter, chalkboard or wood are used on these prints but rest assured that they print beautifully! The faux gold foil is intended to look faded on one side of the print to mimic a light sheen. With 85 styles, there is something for everyone!